Having a bed bug infestation in your home can be incredibly stressful. It can make you feel lost and hopeless, and unfortunately many people also feel a great deal of shame as well. No one wants to confide in their friends or neighbors that they have bed bugs. Luckily you don’t have to face your infestation alone because we are here to help. 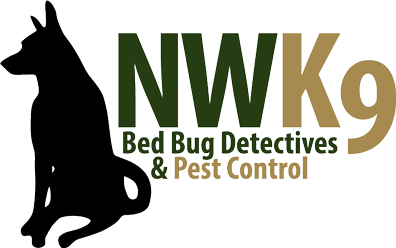 We are your Northwest K9 Bed Bug Detectives, and we understand exactly what you are going through. That is why we make it a point to provide you with the quick and effective bed bug treatment that you need. Our experts can give you the professional treatment that you need, while giving you the compassion that you want. When you give us a call about your bed bug infestation, you won’t have to talk with someone who is cold; we make it a point to listen to your personal situation, and provide you with a solution that you can trust. Our professionals have what it takes to handle any and every infestation, no matter how big or small. We maintain the highest standards in our industry, and we can provide you with natural, non-toxic treatments that you can feel good about. Having bed bugs infest your home is one of the most stressful events in anyone’s life. Get the treatment and the support that you need by turning to your go-to bed bug exterminator in Seattle. We offer competitive prices and free quotes, so you have nothing to lose. Contact us today for your complimentary quote.